With summer, officially behind us, it is not a time to embrace autumn and prepare for the cold, winter months ahead. Autumn is the perfect time to settle in and get cozy with your interiors. The kitchen is the most used room in the home, making it the heart of the house, and therefore it’s important to create a space that works for you and your family. This will ensure that you can enjoy your kitchen throughout winter, not having to worry about the cold or wet weather but instead feel snuggled and comfortable. You don’t even have to make expensive changes; you can simply add some autumnal features and create a welcoming space for you and your family. Autumn is perfect for color schemes, with so many beautifully rich colors that work so well together. Choosing a palette made up of reds, golds, oranges, browns and terracotta will add a chic, stylish touch to your interiors. Your kitchen is a space that wants to be bright and bold, therefore your core color should be selected wisely. 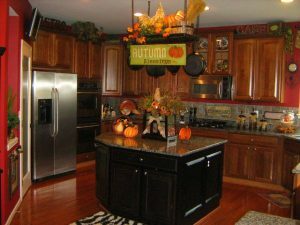 You can then introduce different features to your kitchen to start to add additional autumnal colors to the mix. Autumn is well known for its gorgeous colors, delicious vegetables and of course, Halloween. These are all great inspirational elements to add some seasonal touches to your kitchen and interiors. Accessories are ideal for seasonal touches, stocking up on produce such as pumpkins, pine cones and acorns will add bursts of character as well as a seasonal touch. A stunning way to display these items is through using a large bowl on your countertops, you can create a beautiful centerpiece that highlights the autumnal season. You could also add accessories that are copper or gold, as these colors are part of the autumnal color palette. There are all kinds of beautiful kitchen accessories that you can choose from in these colors and materials, from stylish bowls to fancy hardware. Remember to keep in mind the style and theme of your kitchen whilst adding these touches, as you want your kitchen to flow and work well. As one of the most used rooms in the home, the kitchen is often a hub of social activity. There’s nothing more inviting than a kitchen that oozes the smell of fresh cooking, but introducing some aromas of your own will also add to the overall atmosphere and create an autumnal feel. Spicy aromas are huge in autumn. As soon as you smell that cinnamon there is an instant warmth that takes over your senses. You can introduce these scents in so many different ways, from candles, incense and so on. Light plays a huge part in the overall feel of a room, and you can control and monitor that atmosphere by altering your lighting to suit the occasion. If you’re wanting to create a fresh, bright atmosphere that having some bold, white-bright lights will help you to achieve this. For a more, autumnal effect, look at investing in some yellow-toned bulbs, as these create a softer, dimmed effect that highlight the autumnal feel. Candles and delicate lighting are another beautiful way of introducing autumn into your kitchen. Whether you sit with a glass of wine having a catch-up or you sitting down to a romantic dinner, candles can set the perfect tone and add a warm, inviting touch to your interiors. 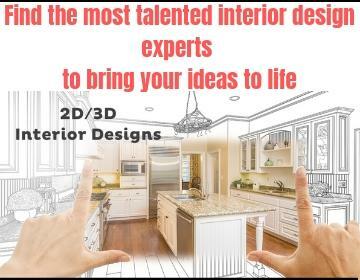 Many people today find themselves purchasing cheap kitchens and creating a chic, expensive look by adding beautiful finishing touches. The artwork is a great detail to add character and style to your kitchen. For an autumnal touch, you could introduce a piece of art that shows a beautiful autumnal day or similarly, a piece of art that is simply made up of a beautiful autumnal color palette. These additions will add a surprisingly chic touch so your kitchen overall look will be perfect.